A lack of gender balance in many industries often leads to women being interrupted during meetings or getting stuck with unimportant tasks, but Sabrina Ciardullo has learned how to stand up for herself and overcome these struggles throughout her time at Ryerson. The fourth-year biochemical engineering student said she developed a thick skin when she was the only woman in many of her group projects. “I’m pretty confident that I have the right tools to sort of confront that in the workforce if I do end up working in a place that’s male dominated,” she said. Unfortunately, these situations are a common reality for women in most industries. The lack of gender balance is a pervasive issue in the workforce, and it’s also the campaign theme for this year’s International Women’s Day. Its slogan, #BalanceForBetter, aims to emphasize the need for gender balance across industries. The official day is Friday, March 8 with events taking place around the world, including all week long at Ryerson. As some industries strive to achieve gender balance, certain male-dominated fields continue to struggle to diversify. According to Statistics Canada, only 593,400 women were employed in management positions across Canada in 2017, compared with 1,123,900 men; this is nearly double the amount of women. In 2018, BNN Bloomberg reviewed the 100 most influential companies within the S&P/TSX Composite. The composite is made up of 250 of the approximate 1,500 companies on the exchange. They found that within that group of vastly different companies, only one had a woman serving as a CEO. Leadership positions across industries continue to be dominated by men, despite the fact that 56 per cent of students in post-secondary were women in 2016 and 2017, according to Statistics Canada. 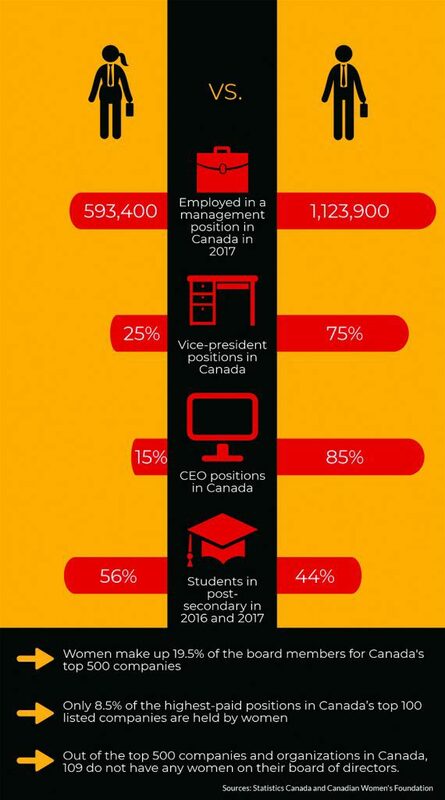 In light of this, the Ryersonian spoke to some students about the glass ceiling and the barriers they may face as they plan to embark on new careers. Shem Acutina, a third-year marketing student, said her business management courses are often male-dominated, and she sometimes feels intimidated. “What if I’m not given the opportunity just because of gender?” she said. She explained that her business professors often bring in motivational guest speakers, but they are almost always men. According to the Canadian Women’s Foundation, women in Canada only hold 25 per cent of vice-president positions and 15 per cent of CEO positions. 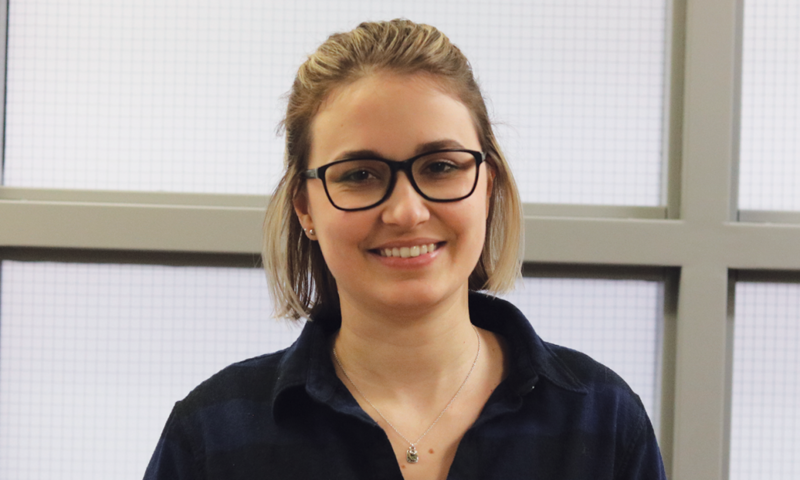 Paulina Jankowska, a third-year human resources (HR) student, said she sees different gender ratios depending on what kinds of classes she takes. She said her math-based courses tend to be more male-dominated, whereas her HR courses are mainly women. 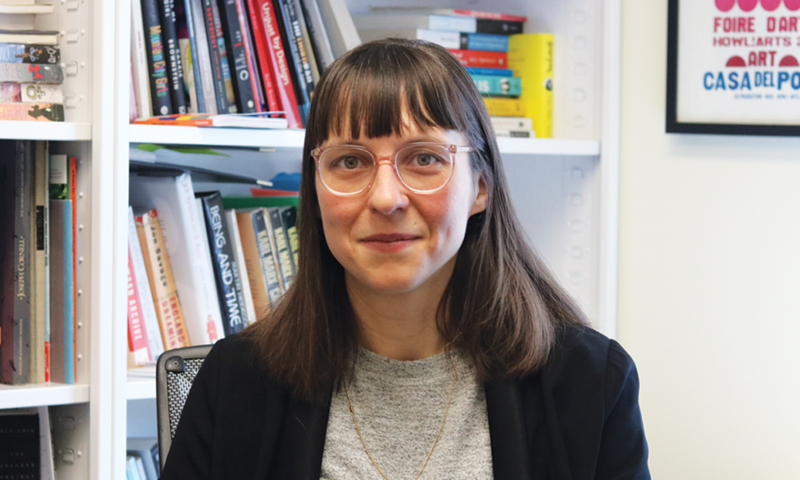 Jankowska believes that Ryerson’s business program is fairly balanced, and gender balance might improve in the field once our generation takes over the workforce. She said being in HR and having hiring responsibilities in the future will allow her to ensure that people are chosen strictly based on qualifications and capabilities. “We want to make sure that whoever you’re hiring is not based on judgment, it’s based on who’s best fitting for the job,” she said. As for her hopes for the future, she said everyone would have equal opportunity in an ideal world but for now, we have to continue having important conversations about what needs to change. Dr. Miranda Campbell, an assistant professor in creative industries, said if the goal is for job sectors to reflect gender balance, we have to rethink who is seen as a leader and who isn’t. She said we need to recognize implicit bias in our everyday life. Campbell recognizes the lack of women in leadership positions in creative industries. For example, she said only four per cent of women were directors in 2018’s top 100 grossing movies. As for Ciardullo, she said her program paints an accurate picture of what the world looks like, with the number of men and women in her class being almost equal. Her advice to women is to get involved on campus and gain those skills early to ensure you have the means to stand up for yourself and have your voice heard. Above all, she thinks recognizing the importance of International Women’s Day and other feminist initiatives will help drive change for the future.